From numerous different types of potted plants, bouquets, to bulbs and seeds, our greenhouse is fully stocked all year long. Bunches of fresh cut flowers available "as is" or you can always choose your own flowers for a custom arrangement or bouquet! 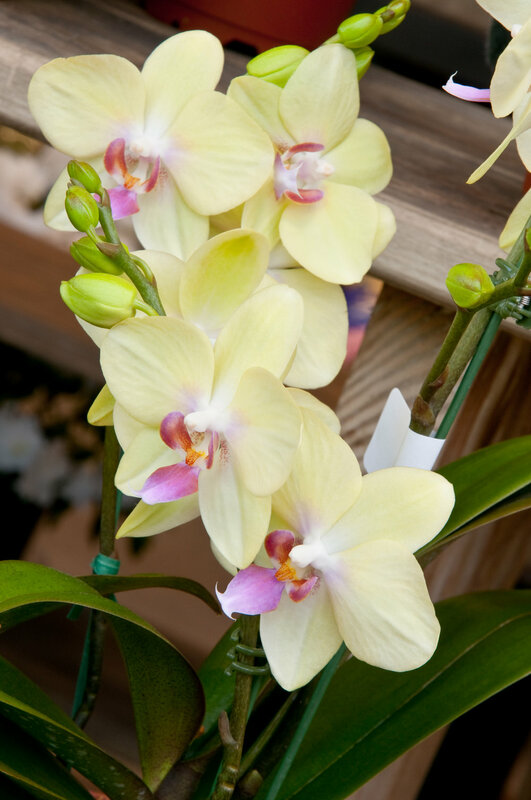 Other potted plants found in the greenhouse include orchids, ferns, sunflowers, hibiscus and much more according to the season. Our knowledgeable greenhouse staff will gladly assist you with constructing any custom arrangement/bouquets and help with any gardening questions. *Our floral department does not make Corsages or Boutonnieres. We have a wide variety of cut flowers available daily. Our beautiful bouquets help brighten any room, and are a wonderful hostess or Valentines Day gift. We have a wide variety of fertilizers and soils to help with your gardening. Hemlock and Pine mulch is also available - pick up and delivery. We also have firewood, hay, and straw. We carry an extensive selection of candles from the reputable Root Candle Company. You can also find ribbon, napkins, and even greeting cards from Ciao Bella Studio. 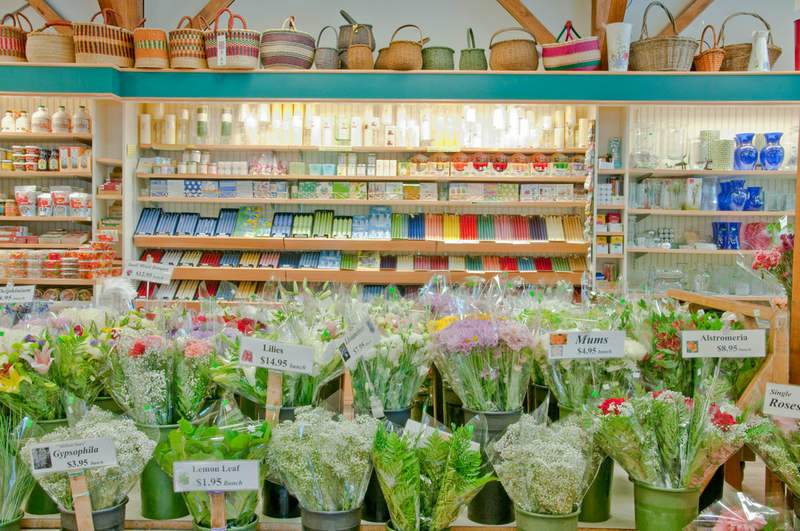 Continuing onto vaious items for your plants and flowers, we offer numerous types of baskets, vases, plant stands, hookery, and pottery from New England Pottery. Lastly, you can find a nice assortment of soaps and lotions from Sweet Grass Farm.